Ingredients: Coconut Oil (MCT), Organic hemp oil, Vanilla bean extract. The 200mg has a formulation that offers higher bio-availability than the 100mg or 400mg in the Coyne CBD oil range. This is why it is more expensive than the 100mg or 400mg CBD oils. Coyne CBD Oil 100mg contains Cannabidiol (CBD), a naturally occurring constituent of cannabis or hemp and is vanilla flavoured. It is the most abundant non-psychoactive cannabinoid found in cannabis accounting for up to 40% of the plant’s extract. CBD or Cannabidiol is one of over 100 compounds found in cannabis that belong to a class of molecules called cannabinoids. Of these compounds, CBD and THC are usually present in the highest concentrations and therefore the most recognised and studied. The form of cannabis used is industrial hemp, with high levels of CBD and virtually zero levels of THC (<0.05%). CBD is a non-psychoactive cannabinoid with numerous reported medicinal benefits. Coconut Oil (MCT), Organic hemp oil, Vanilla bean extract. Dosage: Take 1 -3 servings under the tongue up to twice per day. The taste more bareable due to the vanilla flavouring compared to other CBD oils. It does work in making me calm, however to a much lesser extent compared to other CBD oils I have tried. 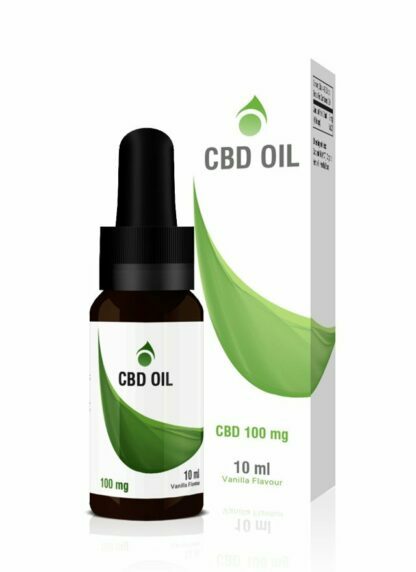 I would recommend some of the higher priced CBD’s as this was not as potent as i hoped it would be and I used it much quicker taking more drops than what was recommended to feel the effects of the treatment.